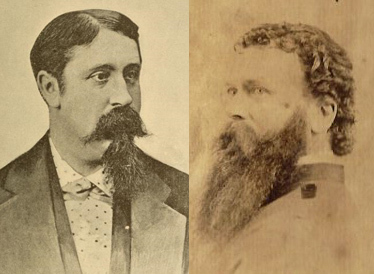 Although he had retired in 1892, Civil War veteran and Warren County, Kentucky native Captain Richard Vance took great interest in all aspects of his country’s prosecution of the Spanish-American War. Among the topics covered in his personal scrapbooks, letters and essays was the plight of American soldiers who had volunteered for the war only to be met with disease, poor camp conditions, and substandard food and medical treatment. Click here for a finding aid to the Richard Vance Collection, and here for a gallery of primary resources in the Department of Library Special Collections relating to the Spanish-American War. For more, search TopSCHOLAR and KenCat. 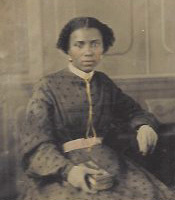 She was, by his description, a “little mulatto girl” he first encountered in 1867 during his military duty at Little Rock, Arkansas. Their ensuing 22-year relationship was neither simple nor ordinary, but the story of Sophia and Captain Richard Vance, a native of Warren County, Kentucky, is preserved in Vance’s diaries, now part of the Manuscripts & Folklife Archives of WKU’s Department of Library Special Collections. The only thing missing from the story, sadly, is the voice of Sophia herself. Separated from her family and cast adrift after her emancipation from slavery, Sophia, no more than sixteen years old, seemed doomed to become the sexual plaything of the officers in Vance’s garrison. Indeed, that may have been how Vance himself, who frequented local prostitutes to satisfy his need for a woman’s “delicious embraces,” initially regarded her. But he soon found himself “desperately stuck on my little girl”– my “new flame”– and when Sophia’s principal patron abandoned her, she became his servant and mistress. Though completely smitten, Vance was fearful that his “dangerous experiment” would be discovered. 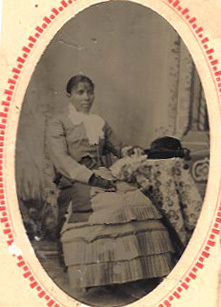 Nevertheless, neither he nor Sophia were inclined to end the relationship, and he was relieved in 1869 when he managed to bring her along to his new posting at Baton Rouge, Louisiana. In 1876, they were at Fort Dodge, Kansas, where Sophia married and departed, Vance assumed, for a new life. Before long, however, both Sophia and her husband George returned and took up the care of his household. 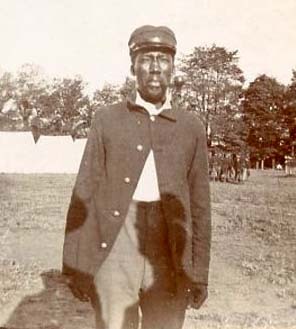 Throughout Vance’s subsequent duty in the Indian Territory, Colorado and Texas, they turned his military lodgings into a comfortable home, anchored his life, and eased his restlessness and unhappiness with the Army. When Henry, a young boy abandoned to Sophia’s care, joined the household, an odd but strangely durable family unit was created. Everything changed late in 1888, when Vance returned to Fort Clark, Texas from a lengthy trip to find Sophia ill. He had been wearily searching for a place to retire and had even purchased a farm near Washington, D.C., but was torn between bringing Sophia, George and Henry into his post-Army life or making a clean break. Only after watching in anguish as Sophia sank and died in May 1889 did he understand what he had lost. His diary entry cried out simply: I am in a world of trouble. Sophia. Wandering from place to place in retirement, Vance routinely turned his thoughts back to his years with Sophia. “Those were my best and happiest days,” he wrote, “the like of which I must not expect to see again, for there was but one Sophia.” On a January morning in 1893, he found the scene outside his lodgings so reminiscent of “the prospect from the back window of the last quarters I occupied in Ft. Clark that I can easily fancy that I have but to go below to find Sophia busying about some household duty; to find Henry playing with his toys in the yard; to find the dogs lazily dozing in the wood shed; and all the paraphernalia of my old establishment.” For Vance, who never married, Sophia represented a golden age that he had failed to appreciate and to which he could never return. Click here for a finding aid to the Richard Vance Collection. For more collections search TopSCHOLAR and KenCat. During his long military career, Warren County, Kentucky native Richard Vance (1833-1902) indulged many extracurricular interests – French, ornithology, botany, literature, politics, religion, travel, and women. He also cast a curious, if doubtful, eye on spiritualism. 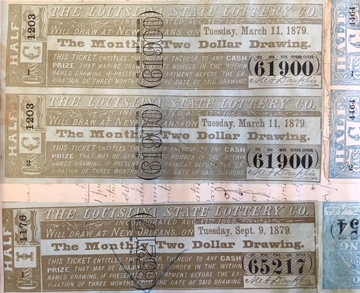 In March 1873, while stationed in New Orleans, Vance paid a visit to the “celebrated Spiritualist, Mr. Charles Foster,” who was offering seances featuring “rappings” and other manifestations said to emanate from the realm of the dead. Ushered into Foster’s room at the St. Charles Hotel, Vance found an amiable, somewhat heavy-set man of about thirty-five. Foster listened politely while Vance made clear that he believed neither in life after death nor in the power to summon those who had passed to the other side. At Foster’s request, however, Vance wrote down on slips of paper the names of acquaintances who had died. Holding one of the slips, Foster then asked if the spirit of the person named thereon would communicate with Vance, and received in reply a “series of loud raps,” first from the table, floor and walls, then from “all parts of the house.” To Vance’s astonishment, Foster then proceeded to relate details about three deceased individuals from his past—a servant, Tony, killed by a gunshot; Rachel, an elderly female servant of his grandmother’s; and an old friend, Gus Montague. Richard Vance’s diary recording his spiritual experience is part of the Manuscripts & Folklife Archives collections of WKU’s Department of Library Special Collections . Click here for a finding aid. During this Halloween month, search TopSCHOLAR and KenCat for other collections relating to spiritualism, ghosts and views about death. I now promise to be less attentive to my military duties, which will enable me to pursue my other schemes more successfully. This is the first feature of my new ‘leaf.’ So wrote Captain Richard Vance in his diary on January 1, 1887. An Army career of more than 20 years had taken him to postings in the South, the western frontier, and now Texas, but Vance, who had never been particularly fond of the military, was yearning to retire. 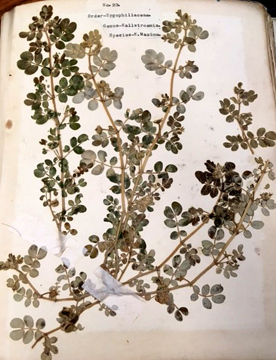 While stationed in Texas at Fort Clark, Vance had begun work on an herbarium, but now, garrisoned at Ringgold, he began collecting, analyzing and preserving samples of local flora. Though he made no claims to being an amateur, let alone professional botanist, Vance carefully researched, organized and classified his finds. 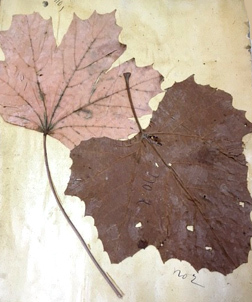 The result was a thick volume of specimens “collected and arranged entirely for my own amusement,” which enabled him to “pass a very pleasant summer at this place.” While traveling, Vance also preserved leaves from the Antietam battlefield in Maryland and horse nettle from Warren County, Kentucky, where he was born. Richard Vance’s herbaria are part of the Manuscripts & Folklife Archives collections of WKU’s Department of Library Special Collections. Click here for a collection finding aid. For more relating to botany and botanists, search TopSCHOLAR and KenCat.